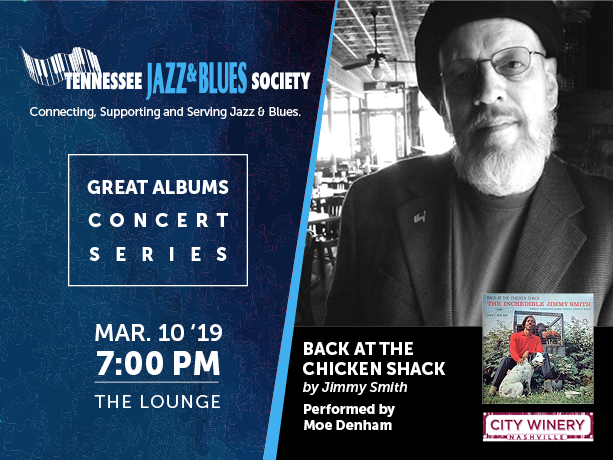 The Great Albums concert series continues with Jimmy Smith’s “Back at the Chicken Shack” performed by Moe Denham. 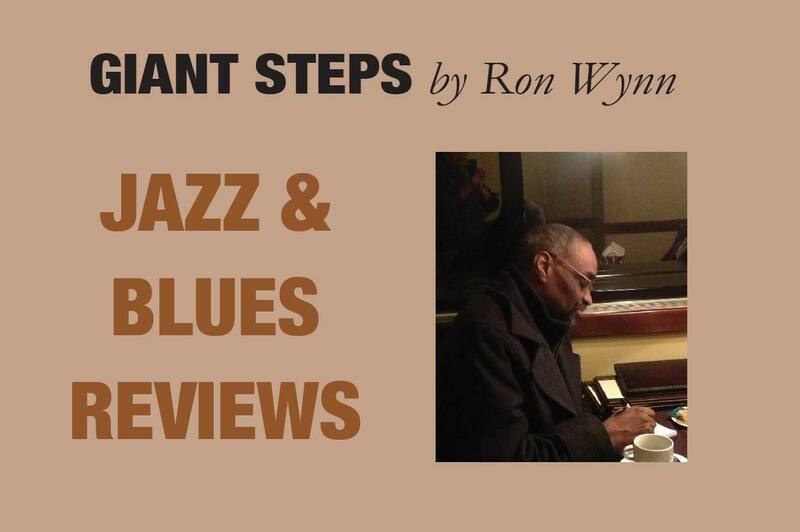 Sunday, March 10, 2019 in The Lounge at City Winery Nashville. Doors open at 5 pm and the show begins at 7 pm. 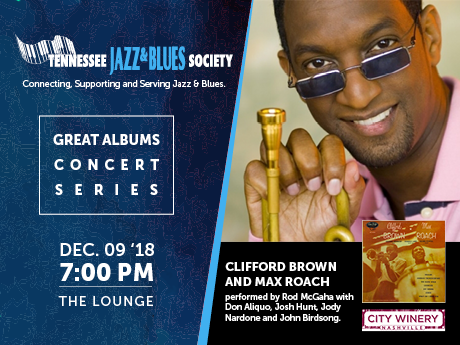 Tickets are $20 and can be purchased from City Winery’s website. Hosted by the Omega Lambda Lambda Chapter of Omega Psi Phi Fraternity, Inc.
and Delta Chapter of Omega Psi Phi Fraternity, Inc. An event honoring Reverend John G. Corry and Henry A. Moses, Ph.D.
Come out and enjoy your night filled with celebration, fun, good food, great music, and much much more. Rudy’s Jazz Room is proud to present the return of the Charlie Hunter Trio, one date, two shows! 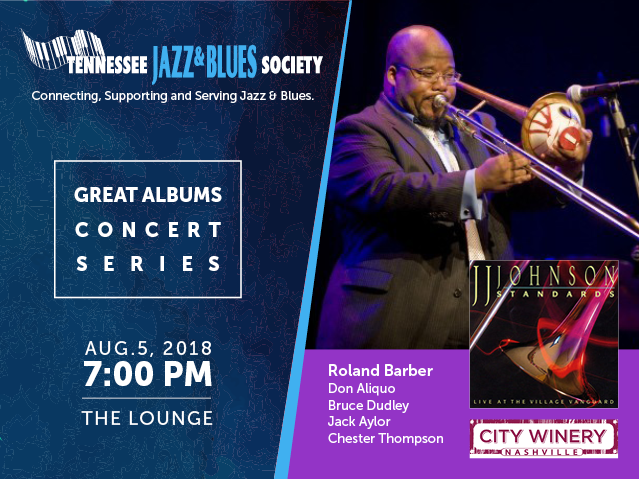 The next TJBS Great Albums Concert is set to take place Sunday, August 5th, 2018 in The Lounge at City Winery. 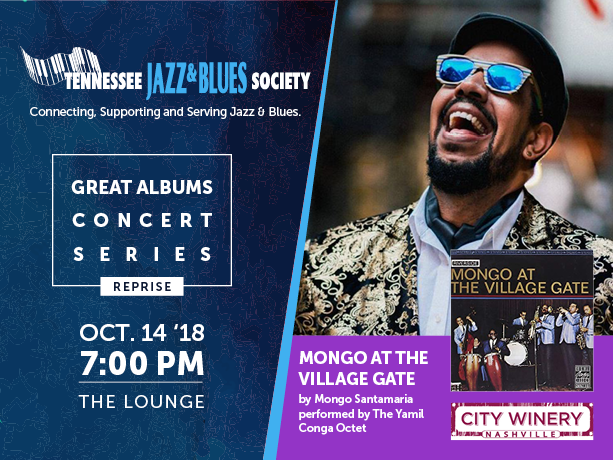 This concert highlights J.J. Johnson’s “Standards- Live at the Village Vanguard” lead by trombonist Roland Barber.